Are you confused by clothes manufacturers care labels on your clothing? Do these cleaning instructions really keep clothes looking their best? At Butlerz we have put together a handy guide so that you can see, at a glance, what the dry cleaning care symbol looks like and when a garment should be dry cleaned. This is because some clothes must be dry cleaned, so, even if you suspect the label is being over cautious, it’s best to follow the care labels instructions. To avoid ruining your favourite piece of clothing read on! A symbol of a circle means the garment is suitable for dry cleaning. If there’s a letter such as a ‘P’ inside the circle, it’s to tell the dry cleaner which chemical wash and method to use. If the circle has a cross over it, the item is not suitable for dry cleaning. Dry cleaning is a must for some garments so it’s best to follow the manufacturers advise. This is because some clothing will lose its shape or degrade if cleaned in water. Dry cleaning uses a chemical solvent so no water is used in the process. Dry Cleaning is also ideal for delicate fabrics that cannot withstand the rough and tumble of a washing machine or a clothes dryer. Dry cleaning should also be used for suits or clothing where there is a lining and where the suit needs to keep its shape. This applies to pleated skirts, and clothing made from delicate synthetic fabrics such as polyester, acrylic, nylon, rayon, acetate, spandex, latex, Orlon and Kevlar. Also, silk garments or cashmere and wool. Leather or suede items and those with metal embellishments, beading, or sequins require special care, too. If you have heavily soiled garments, especially those with difficult oil-based stains then contact Butlerz, who will look to remove the stain with specialised solvents prior to cleaning. 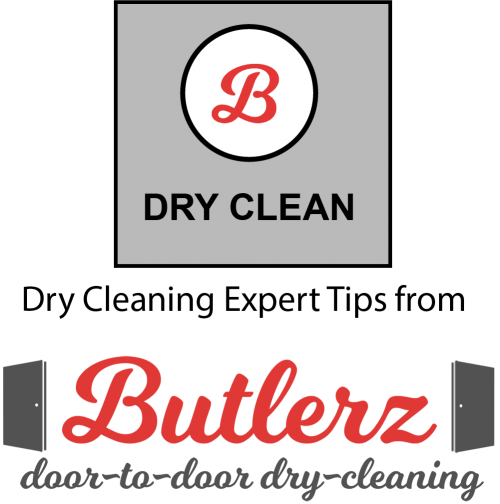 If you need to use a dry cleaners then we recommend using us here at Butlerz. We have skilled workers who know how to treat and clean delicate clothing. We carry out a free pick and delivery service as well so we really are your personal Butlerz! Contact Nigel by telephone on Tel: 07866 443116 or find us here: For any questions, suggestions, feedback or comments tweet us @Butlerzco or Facebook us @butlerzdrycleaners.